Julie is our newest spinner. 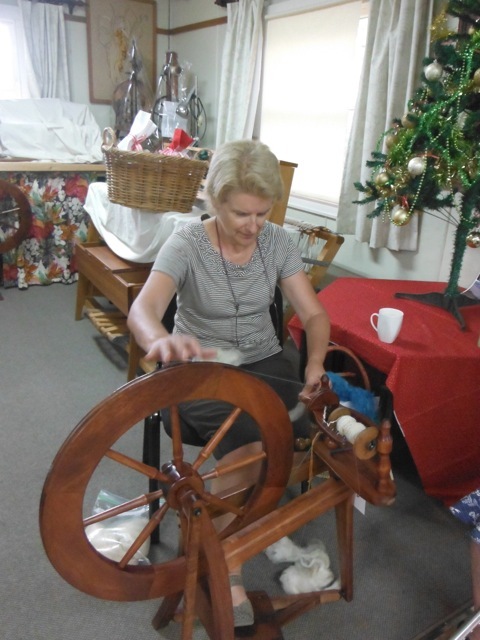 This is her first day of spinning and she is going very well. It will be interesting to watch the process to see the outcome with her first item. By Lyn.